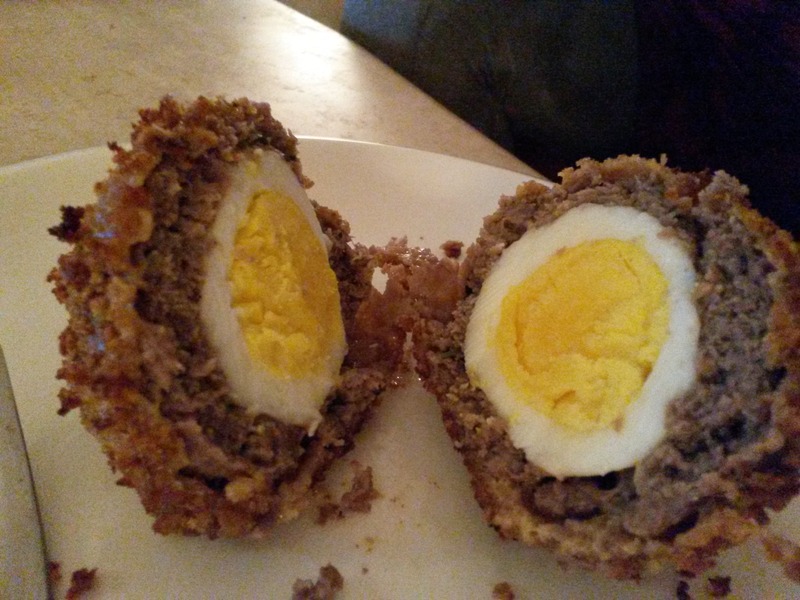 I love a scotch egg. The mini ones you get from M&S? Amazing! I also love that giant ones have come into fashion. They seem to be everywhere from butchers to farm shops and some come with really interesting alternatives to plain old sausage meat inside. If only they were better for you! 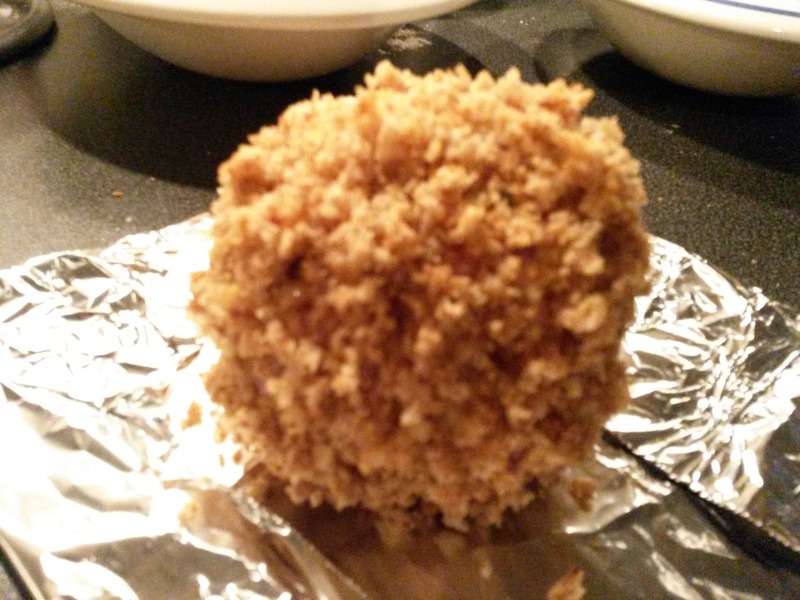 Last week my other half embarked on a giant scotch egg making session, and I must admit, the lack of recipe or instructions had me sceptical about the outcome…The idea came from left over beef meatballs. We had four left over, already seasoned and ready to be cooked. We decided that seemed a healthier alternative to sausage meat. So, what happened next?